This is the third year publishing the Top 20 Players Overlooked by MLS, and although the title might be somewhat controversial, I feel it’s a good way to look at the development of soccer in MLS and North America on an annual basis. My first overlooked list included players at the second tier of professional soccer who were not given a true opportunity to play in MLS, and since then players such as Daniel Steres has been given an MLS contract while Miguel Ibarra is playing in Liga MX. 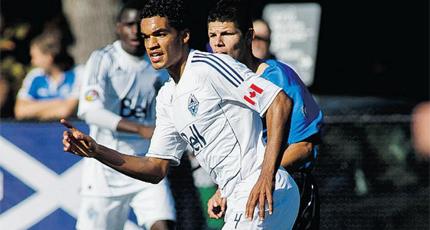 Last season I looked at players who were more outside the system and after that article, there were players were given an opportunity to play professional soccer in the United States including Dustin Corea playing very well with FC Edmonton in NASL. The professional game has grown and greater opportunities have been provided to players. This has led to the creation of ProspectXI with my fellow RNO writer Kamal Hylton to look more deeply into player development in United States and Canada. Over the last year at ProspectXI we looked at player development from a professional level analyzing both NASL and USL, Pro Am Level with PDL and NPSL, high level youth soccer in the USSDA and ODL, College soccer, NCAA D1, D2, D3, NAIA, CIS and CCAA and looked at CONCACAF as a whole, including a scouting trip to Jamaica. Looking at this years Overlooked Players in MLS, it is less about lack of awareness and more about a situation where MLS growth and rules have left some players with good potential on the outside. With daily news of players from around the World joining MLS, it seems a bit weird why these players are not being given the same opportunity and what do they have to do to prove they are worthy to play at United States/Canada top level? One noticeable and worrying trend is players who once joined MLS with great hype through Homegrown contracts or high draft picks, then a couple of years later see themselves unattached or playing in the lower leagues. The question soccer fans should ask themselves is: are these players worse than new players signed by MLS, and if not why have these players been squeezed out? For the list this year list I did not include any players connected or on trial with an MLS club or currently signed to a MLS affiliate club in USL. I also didn't include any Minnesota Untied players from the NASL, who have been a good resource for top players not in MLS, as they are preparing for their own expansion into the league and I feel many current players on the NASL side will be given an opportunity by the club to play in the MLS. We will be looking at this issue in more detail at ProspectXI and have produced lists from a number of soccer systems of players who we think should be looked at by MLS, NASL and USL clubs including interviews with players who deserve these opportunities. If you listened to any Gaffer & Hooligan podcast over the last year you will know how both Kamal and I feel about the 24 year old Jamaican Craig Foster. 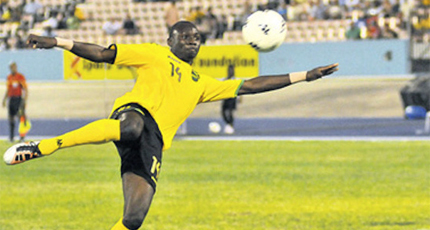 I first became aware of Foster in 2010 when he led a small club named Reno FC into the Jamaican Premier League and was also the top scorer for the Jamaican U-20 National Team. He was loaned to Sweden and Finland where he scored goals before returning to Reno and being the top scorer in the JPL. He left Reno last season and ended up loaned to USL side Harrisburg where he scored eight goals in 14 games including a hat-trick against FC Montreal. Loaned again to Harrisburg this season, Craig has one of the top finishing abilities in the CONCACAF region and I feel could also score goals at an MLS level. Piette has been one of the top young talents within the Canadian National Team that has created a buzz of excitement. Not as flashy or a goalscorer like the others in his class, Piette has shown great composure and technical skills playing either in a holding or central midfield position. The 21 year old captains his country at his age group and is also a regular call up to the Senior Men's Canadian National Team. Piette is currently on loan at Racing Ferrol getting significant minutes and there might be some opportunity for him and his parent club Deportivo la Coruna. However, I also feel with his ball possession ability he can be a starter in MLS and a player a team can build around. 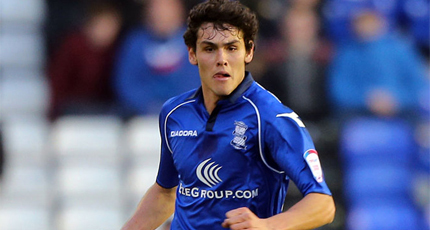 Packwood joined the Birmingham City Academy at the age of 14 in 2007, and played four seasons in their youth setup eventually captaining the team and signing a professional contract with Birmingham in 2011. In 2009, Will made his debut in the USMNT setup playing at the FIFA U-17 World Cup in Nigeria and has since played for the U-20, Olympic team, and was called into the Senior team in 2011. For his club, Packwood played 18 Championship games with Birmingham and was also loaned to Bristol Rovers, Colchester, and Cheltenham where he scored his career goal last season. Standing 6'3, Packwood can play both Center Back or Holding Midfield, and has great athletic tools including good running speed for a defensive orientated player. At 22, if Packwood was in the draft he would be guaranteed a GA contract and likely become a top draft pick. 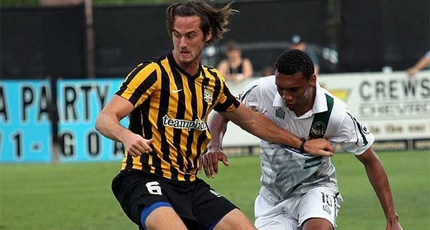 The 24-year old USL first team defender admitted to no interest by a MLS club when resigning with Charleston recently. Shawn a 6'4 center back has been voted the USL 1st team top defender two years in a row since joining the Battery from NCAA Division 1 program College of Charleston. Charleston head coach Mike Anhaeuser said of Shawn "He's a guy forwards don't want to go up against and he's been improving with each game." Ferguson was out of contract this winter in before resigning in hopes a MLS team would give him an opportunity and despite a number of MLS clubs with issues in recruiting defenders this offseason it is somewhat unfortunate that Shawn will be playing for an independent USL club once again in 2016. Anthony Lozano is most likely lost to MLS without a club paying a large transfer fee and offering the player potentially a designated player contract. He is currently on loan at Spanish Second Division side Tenerife, where he has scored seven goals in 17 games and there has been talk of him signing a permanent deal with a Spanish La Liga side. The reason why I include him in the list is he was available in the past after playing with the Valencia B team in Spain and returned to his native Honduras and scored 42 goals in 79 games for Olimpia. As with Foster, Lozano is an example where greater CONCACAF regional scouting could allow MLS clubs to attain key prospects and develop them internally and benefit from not only their play but potentially sell them on for a fee to a much larger European club. Manny Aparicio will be included in an ever growing list of Toronto FC local players promoted and hyped as proper club development, although once signed were never really given an opportunity of proving they could play in MLS. 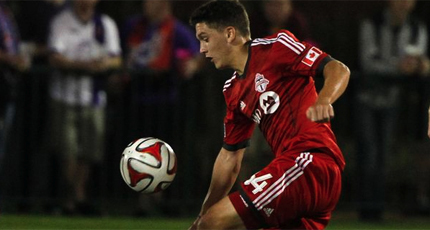 Joining players such as Oscar Cordon, Matt Stinson, Nicholas Lindsay and Mark-Anthony Kaye, Aparicio was paraded as a TFC Academy graduate when signing a homegrown contract in August of 2013, yet never played an MLS game with the Reds. Manny played 19 games on loan with Wilmington and 20 games with TFC II last season and the 20 year old made his international debut for Canada in 2014. It is difficult to judge with such little opportunity if Aparicio deserved his homegrown contract in the first place, but you would hope a player who was admired so highly as an 18-year old that his career is not over only two years later. 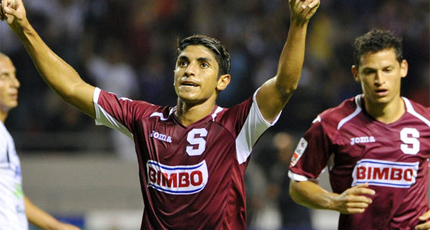 The 23-year old has quarterbacked Saprissa to being one of the top teams in Costa Rica the past three years. Making his debut as an 18 year old, Bustos has already played 109 games in the Costa Rica Primera, scoring nine goals and adding a number of assists in a deep playmaking role. Juan is known for an incredible shot, scoring goals from over 35 yards, but also has great technical and ball possession skills which has won his club two Primera championships and experience in the CONCACAF Champions League including a goal against Sporting KC in Kansas City. Bustos has played four times with the Costa Rica senior team scoring two goals and also played in the 2011 FIFA U-20 World Cup. Carlos is another player who I was high on during his collegiate days with UCONN where he was the key ball contributor in a very strong NCAA Division 1 side. Alvarez was drafted second overall by Chivas USA in 2013 and was a regular starter for the club that season. During the 2014 season he was traded to Colorado and still played 23 games, although was first cut by Colorado he was resigned by them for the 2015 season. This past season Carlos was loaned to Charlotte in USL where he played in 22 games scored two goals and added four assists and recently was the first signing for San Antonio's new USL Side. Now 25, Alvarez might have lost his opportunity to play in MLS despite showing good numbers when he played, including 80%+ passing and six assists in MLS, a good shooter which lead to five career MLS goals and although defense isn't his strength, he still averaged two tackles and four defensive contributions when in the starting eleven. No longer under contract with FC Edmonton, it is unsure what the 19-year old will do next, although it is disappointing that the option looks like Europe opposed to an MLS side. 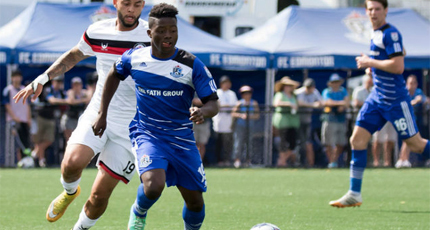 I've written about Hanson many times before on RedNation Online, both in awe of his footballing ability and concerns of him not yet the complete player and I do feel FC Edmonton’s method of protection has somewhat hurt Boakai’s growth. 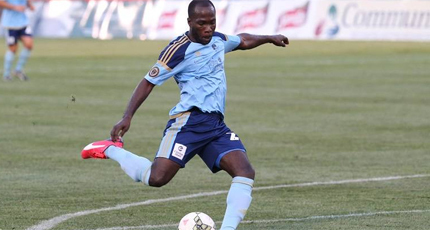 Boakai finished his career playing 31 games with the Eddies, most of them as a sub, although he scored in one of his starts this past season against San Antonio and anyone who follows the Voyagers Cup will remember his game against Montreal. To me he is the perfect player a smart MLS side could develop into a valuable future asset. Matt did spend two years in MLS splitting time between Chivas USA and Chicago, and to be honest wasn't much to write about as the forward, scoring zero goals in 16 games. The 26-year old did average over a shot per 90 minutes during his time in MLS and joined the league after scoring 14 goals in USL the previous season with the LA Blues. 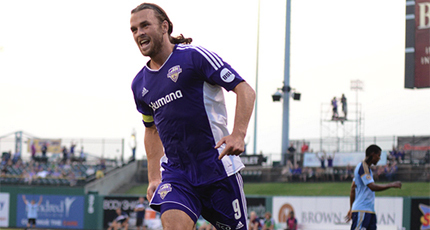 Fondy returned to USL last season with Louisville and ended up the league’s leading goalscorer with 22 goals in 28 games and adding an additional seven assists. Fondy has great offensive instincts, although his finishing can be brought into question sometimes, but players are supposed to be rewarded for strong play in USL and I feel Fondy is a more proven goalscorer than other forwards who have MLS contracts. Kazlauskas is 33 years old, and although he also is American and a player who was identified as a potential asset for an MLS club in my European Scouting article last summer. 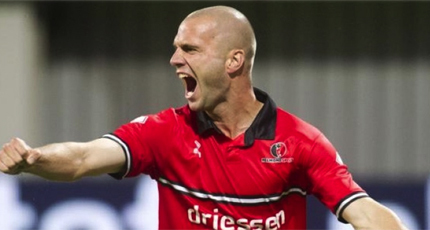 The Right Back moved from his club in Holland Helmond Sport to Belgium club De Treffers and has close to 250 league games since 2008-2009. Charles is known for an excellent engine and stamina and even in his early 30's is capable of running up and down the wing competitively with players near half his age. He is a strong distributor of the ball and his experience would mean he automatically fits in to any MLS club with a need as a domestic player and low salary. Recent Canadian National Team call-up Callum Irving was expected to be the second keeper drafted at the 2017 MLS SuperDraft, so much so that the league signed him to an MLS contract before the draft. The contract might have hurt the 22 year old's chance of signing with an MLS club since most likely his salary will count against a team’s cap. Even so, Irving has the ability to win a position from many backup keepers in the league. Irving is on the short side for a keeper at 6'1 but has good reflexes to make saves when needed, although his greatest asset is his communication and how he controls the box. Personally, I think it is a mistake that the Whitecaps didn't offer him a homegrown contract as I see him as a better keeper than current option Spencer Richey. The Whitecaps made a number of surprising cuts to young players this past off-season, and the most surprising to me was Caleb Clarke. The 22-year old was one of best assets on a Whitecaps II club, who for the most part struggled, but Clarke scored seven goals and added four assists in 25 games and was also strong the season before on loan in Germany. Clarke should be one of the most sought after players for an NASL or USL club, as goalscorers are hard to come by and also has a greater proven skill set than many young strikers under contract with MLS sides. The Canadian International might try his luck in Europe and like Irving I think the Whitecaps will regret letting him go. 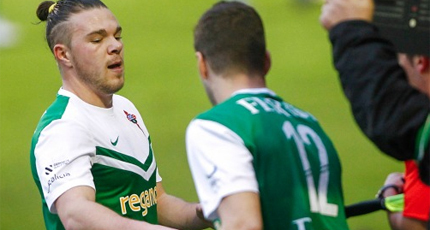 It has been recently confirmed that Clarke signed a contract with German fourth division side SpVgg Unterhaching. 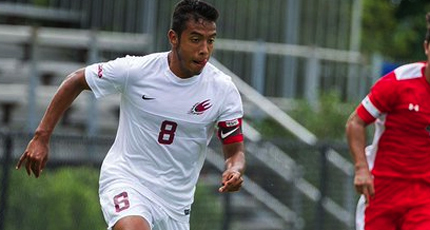 Salazar is the first college player completely overlooked by MLS this offseason and headlines a number of players overlooked, especially ones of Hispanic-American heritage. Salazar is from Tucson, Arizona and played two years with the well-respected Real Salt Lake-Arizona USSDA Academy team. Salazar played close to 60 games in a holding midfield role, allowing RSL-AZ’s more offensive players greater freedom and opportunities. He then signed with Elon College where he won multiple conference awards and led his side to the NCAA National Tournament in three of his four years. Salazar is good on the ball and also has great stamina, making him a player who can average 50 quality touches a game which is a greater asset then some of the more athletic players who were drafted instead. 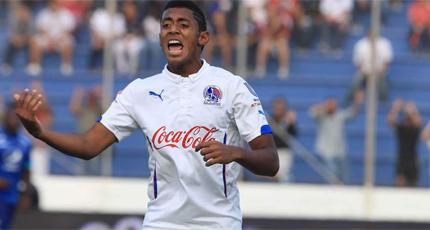 Like Bustos, Aguilar is another young central midfielder who has excelled in the Costa Rican Primera over the last four years. 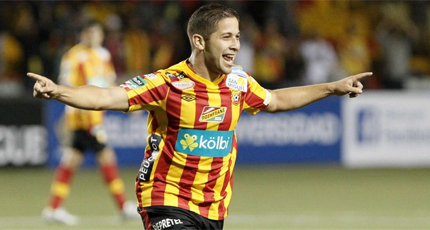 Elias has played in 97 league games with Herediano, scoring 11 goals and also played in the Mexican Second Division side Zacatepec where he scored a goal in 13 games. Aguilar has also been a regular for the Costa Rican National Team, playing a number of friendlies and throughout the 2015 Gold Cup. The 24-year old is stronger than Bustos and can also play on the wing, although doesn't have the possession or shot ability as Bustos and plays better at a faster pace going 1v1 against his opponent. 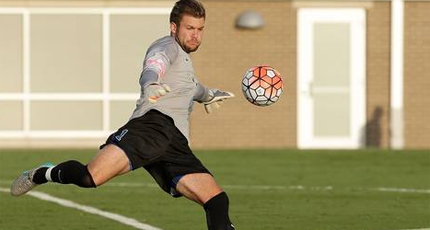 Wharton also signed an MLS contract before the SuperDraft, but went undrafted. At ProspectXI, we had Wharton going as a late first round/early second round pick, and like Iriving what he would cost against the salary cap hurt MLS clubs’ interest in him. Wharton’s career might also raise red flags as he was a prolific goal scorer at youth levels, both in USSDA and High School. 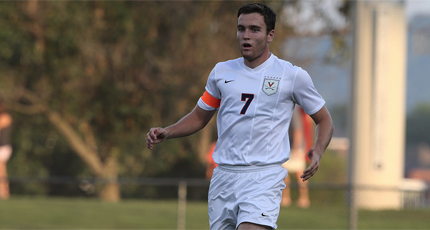 However, he only scored 11 goals in 84 college games, but he played in a very strict defensive system with Virginia that won the school a National Championship in 2014. Wharton is a very versatile player who plays for his teammates and would have been an asset for a MLS club and it’s a shame that clubs didn't see the positives he could bring opposed to and concentrating on the negatives. 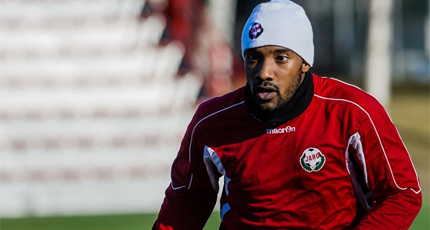 Jamar's journey in European soccer has been a story of interest for anyone who reads RNO or follows Canucks Abroad. Dixon moved up through the Scandinavia footballing pyramid, finally making it to the top division in Finland last season where not only he was playing against tougher competition, but more scouting information about how he plays also became available. I would say the 26-year old compares very favourablely to former FC Edmonton player, and now Minnesota pre-MLS player, Lance Laing. A player who is incredibly versatile and can easily transitioning from left back, to midfielder to attacker. Jamar was very effective on offense including 60% of his shots hitting the target and also connected with 85% of his passes although Dixon greatest assets are his athletic ability and his determination. Jorginho James was recently overlooked by MLS clubs after being invited to the 2016 MLS combine and available in the 2016 MLS SuperDraft. James, who made his Jamaican National Team debut at 17 years of age, has had trials with teams in Europe and at ProspectXI we rated him talent-wise in our top 40 players at the 2016 MLS combine. It is unknown why he was not drafted, although since returning to Jamaica, Jorginho has been on fire scoring four goals in four games and there is talk of him joining a top Scandinavian team for the 2016 season. Still only 21, James is a technical midfielder with good athleticism and the offensive output he has shown this season has allowed him to develop into the role as an attacking midfielder in in the center or on one of the wings. Mauro gained more national attention in Canada from being Samual Piette’s central midfield partner for the recent Men's Olympic Qualifying tournament. 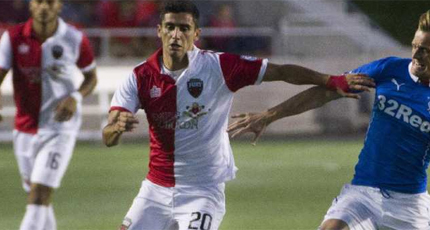 However, his growth with the Fury was noticed early in the year, as Eustaquio was a key contributor in the Ottawa's great success story in the NASL last season. The 22-year old was born in Portugal, although grew up in Ontario, returned to Portugal at age 11 to train with a number of clubs, but was on the Canadian soccer radar playing for the U20 side in 2013. 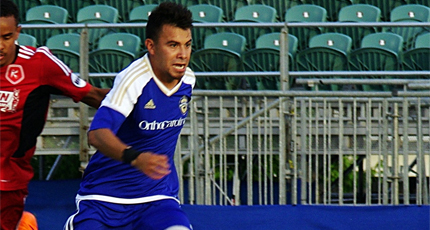 Mauro has great technical ability in central midfield and is a player who can control possession, and with great player turnover this off-season in Ottawa, he is expected to be a key contributor in 2015 and could be looking at returning to Europe if not given an opportunity to advance his career through an MLS club. 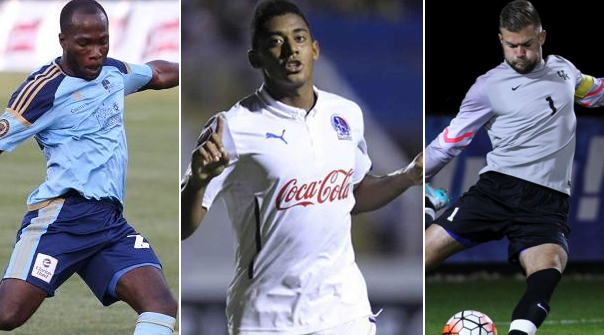 As mentioned at ProspectXI, we spent the last month not only looking at talent in the CONCACAF region, but also players playing different levels of College Soccer in the United States. There are a number of players playing either NCAA D1, D2, D3, NAIA or CIS soccer who I feel could be a quality player at a higher level of North American soccer, but the most exciting talent to me is Patrick Drmola. 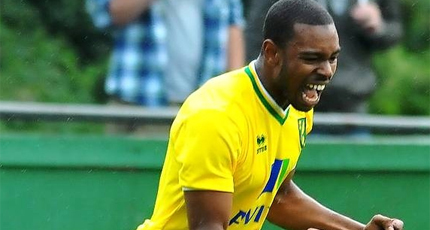 Drmola is from London, England, and played a number of seasons in the Norwich City academy, eventually making the reserve team before going to Florida with Barry in NCAA Division 2. Drmola is athletic attacker and compares well with 2016 MLS draftee Ben Polk, while his EPL Academy training means he plays with an awareness and determination that you don't see with many players coming through the American/Canadian soccer system.